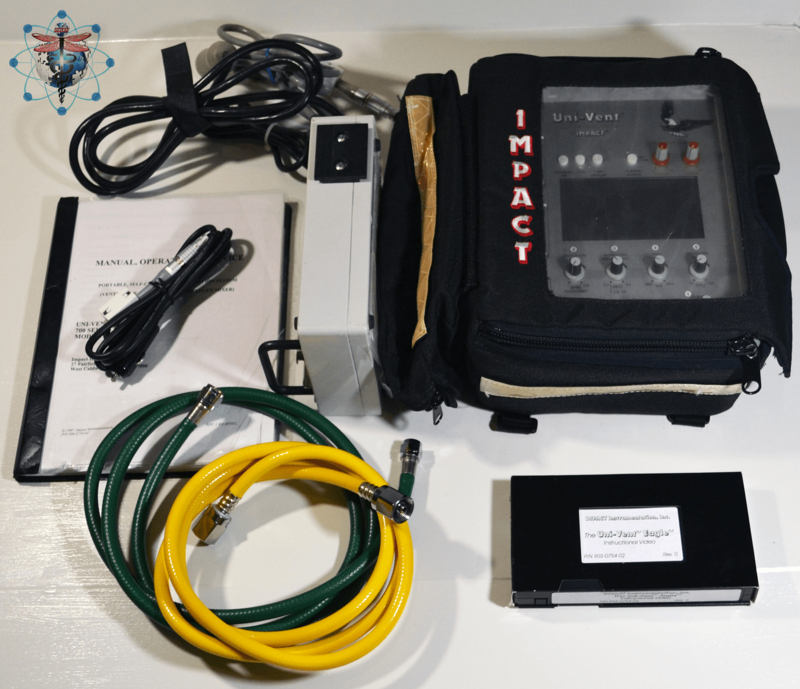 Get the Impact Uni-Vent 754M Eagle Portable Volume Ventilator comes with a Pelican/Hardigg Hard Case and also includes the soft case for the Impact Uni-vent 754M. This Impact Uni-Vent 754M Eagle Ventilator is in Excellent Condition. We acquired this unit from the U.S. Military. The Ventilator was able to run off of the New Battery Power and External Power using enclosed Power Supply when plugged in to a 110V Electrical Outlet. Unit was hooked up to a Ventilator Circuit. 100% Functional. That’s the Extent of our Testing Due to Device needing PM (Preventive Maintenance) including the calibration clock, which is Required to be Reset every 12 months. Device has not been in use since Calibration was Performed by The Manufacturer in July of 2016. See Photos for More Info! Includes 4 Pages of Summary Inspection Results and Calibration Paperwork from D.O.D. and Manufacturer. The Impact Uni-vent Eagle 754M is completely self-contained and requires no outside gas. Featuring an internal compressor and blender, it offers PEEP with controlled assist, SIMV, Intubated CPAP, and CMV (for apnea backup) ventilation modes. Bright graphic LCD provides monitoring and alarm settings. An interactive demo/teaching mode assures fast start up sequence in as little as three steps. 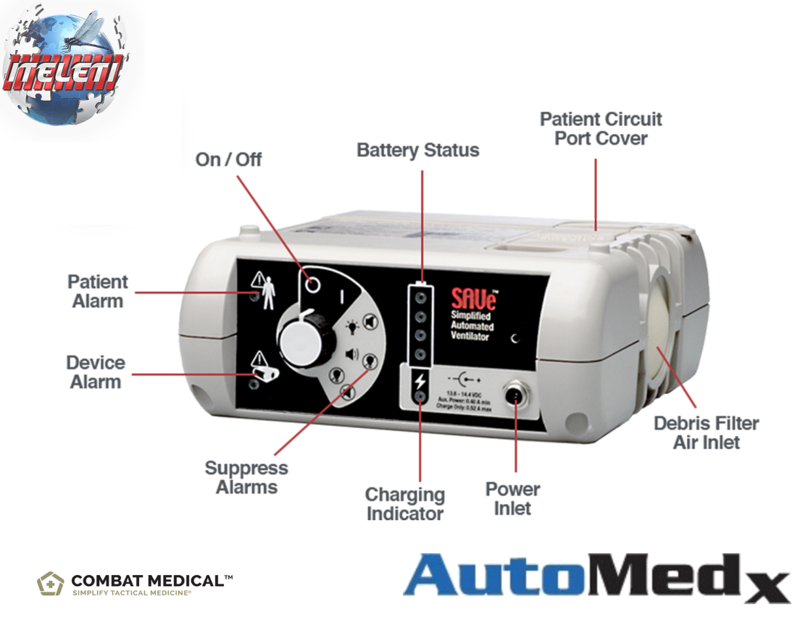 EMI/RFI and Air Medical certified. Liquid Crystal Display External Air, Sigh, PEEP, Pressure Plateau, High-Pressure Alarm Setting, Low-Pressure Alarm Setting, Ventilation Rate, Inspiration time/I:E Ratio, Tidal Volume, Air/Oxygen Mixer, Mode, Inspiration/Exhalation, Power, Pear Airway Pressure, Mean Airway Pressure, Digital Bar Graph, High/Low, Airway Pressure Alarm Setpoint Indicators, Paw. 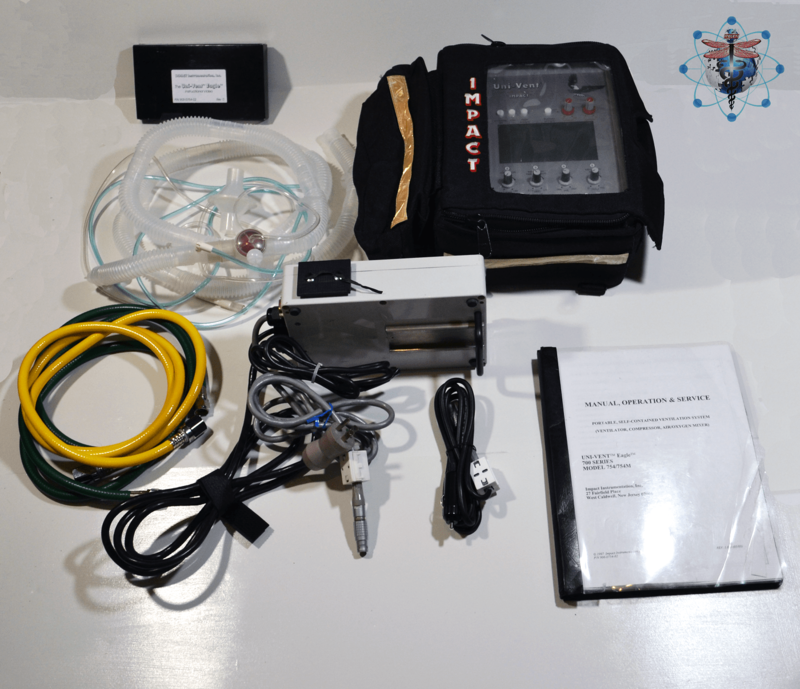 LCD Alarm Display Battery Low, External Power Low, Low Pressure, O2 Low/Fail, Disconnect, High Pressure, Apnea, Vt, High PEEP, Ext Air Low/Fail, FIO2, Inverse I/E, Comp, Pressure Alarm Settings, Transducer Calibration, Transducer Calibration Abort, System Failure, Ventilator Fail, Inspiration Time Truncated to 3-seconds, Plateau Volume, Preventative Maintenance Due, Vt Settings, Extended Non-Use/ Storage, External Power Failure.